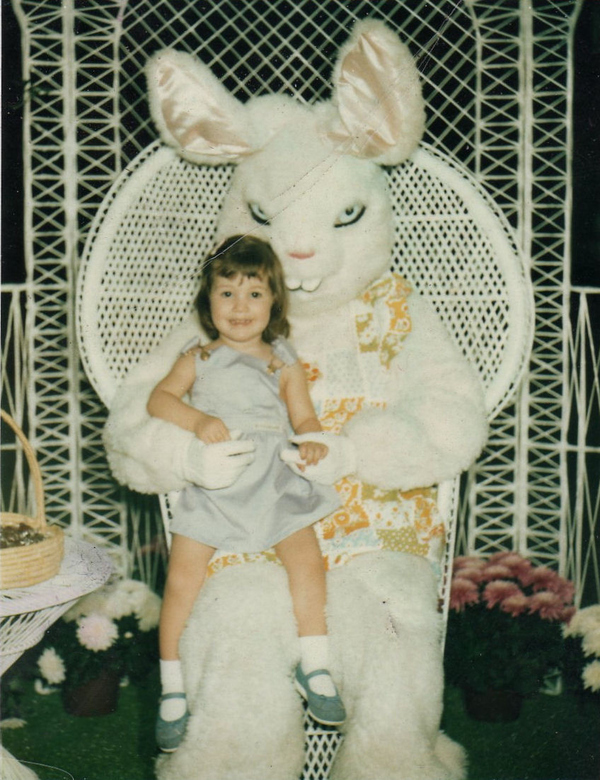 For those of you out there who celebrate this Christian(formerly pagan) holiday HAPPY EASTER! Rankin and Bass are heroes of mine from their stop-motion wonders like Rudolph the red-nosed Reindeer to their feature film works like The Last Unicorn to iconic tv series Thundercats (from which they inadvertently helped start what would become the much beloved and critically acclaimed Studio Ghibli.) they created masterworks... except when they didn't. Sure you know cult classics like Mad Monster Party but they have films like The Leperchaun's Christmas!? And the L Frank Baum supremely weird The Life and Adventurers of Santa Claus. 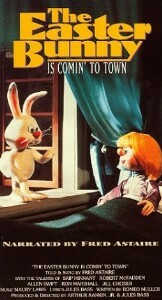 Our dear friend Matthew is coming over tonight in what has become a strange Easter/Rite of Spring for us: screening of the truly bizarre The Easter Bunny is Coming to Town..sure we could do the equally odd Here Comes Peter Cotton Tail, but this film from 1977 tries to spin the tale with folksy down home charm and using the exact same format as Santa Claus is Coming to Town...except with singing chikens in the vein of the Andrews Sisters. So after a few minutes of digging around on the interwebs I realized the entire film is here for me to share with all of you out there ENJOY!